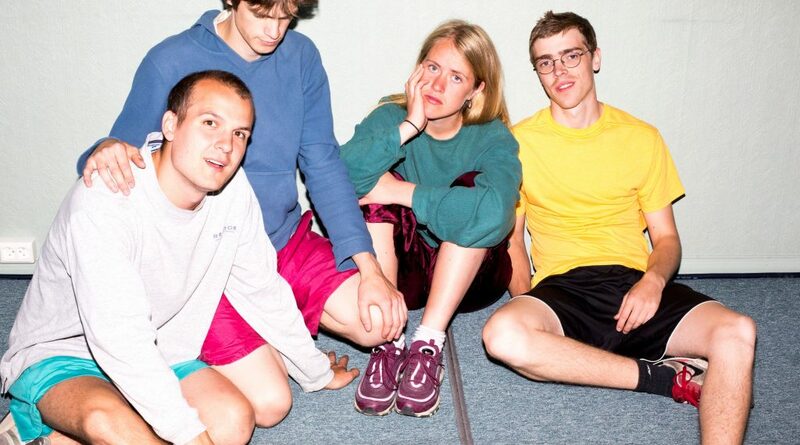 Norwegian quartet Pom Poko have unveiled details of a brand new single, ‘Follow The Lights’. The track is the band’s debut release on Bella Union, having signed to the record label earlier this year, and the first taster of their as-yet unannounced debut album which is touted for release in early 2019. Raucous and unpredictable, the cacophonous, hulking beat of ‘Follow The Lights’ immediately marks this new release as a statement of intent from a talented band with an exciting future ahead of them. Their handful of self released singles to date have won them acclaim for their true ingenuity and eclectic sound that encompasses sing-song vocals, intense grooves, and bouncy guitars, whilst their rowdy performances have earned them an enviable reputation of being a feat to behold live; second to none for the deft delivery of complex rhythmic changes with an absurd level of energy on stage. Fresh from a busy summer of festival bookings across Scandinavia and Europe, Pom Poko are due to arrive in the UK to support Darwin Deez at London’s Village Underground on 1st October and will also make their debut at this year’s Iceland Airwaves festival. Full listings for all upcoming international tour dates can be found HERE.